what not to play and what`s good and what`s bad. Oscar Pettiford, born 1922 on an Indian reservation in Oklahoma, still holds the highest reputation of bassist in the world of jazz, next to Jimmy Blanton or Charles Mingus. Besides his career as a musician, who established the bass as a solo instrument, he worked as a teacher of jazz improvisation and also composed well known tunes like “Bohemia After Dark” or “Blues In The Closet”. 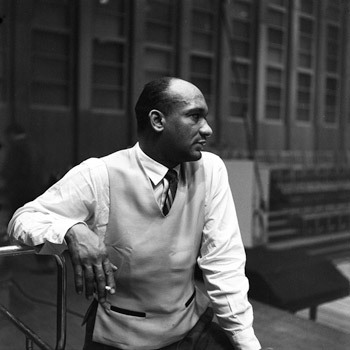 Already in the 1940s he was responsible for educating bassists like Percy Heath or Ray Brown and even today, important traces of Pettiford can be found in the performances of numerous musicians. He made a name for himself in New York with such orchestras as Duke Ellington, Woody Herman or Charlie Barnet and, in 1944, formed the first modern jazz band with Dizzy Gillespie to play a style that was later known as Bebop. It was with Herman`s band that Pettiford substituted a cello for his bass solo as some kind of joke. Then he discovered the expressive potential of the cello as a jazz instrument and started to play it in various groups, introducing innovation to the playing of both instruments. In September 1958 Pettiford travelled to Europe, touring with a package show called “Jazz From Carnegie Hall”, featuring Kenny Clarke, Lee Konitz, J.J. Johnson and Zoot Sims. After completion of the tour he decided to stay on the old continent, playing and teaching In France, Germany, Austria and later also in Denmark, where he regularly performed with Stan Getz and Jan Johansson at Copenhagen`s Cafe Montmartre. “To pass on the message”, as he used to say, became the center of his work. In particular it was his task to pass on the universal message of jazz to young European musicians. Two months later he was invited by producer Hans Gertberg of Norddeutscher Rundfunk to play a few concerts in Hamburg with his European Quartet. On the evening of November 14, 1958, he was recorded with Hans Koller on tenor saxophone, Attila Zoller on guitar and US expad Kenny “Klook” Clarke, who settled in Paris at the time, on drums. They played with some local guests in front of an excited audience at “Studio 10” of Funkhaus Hamburg. The previously unseen concert photos from the same evening were taken by the well-known Berlin photographer Susanne Schapowalow. 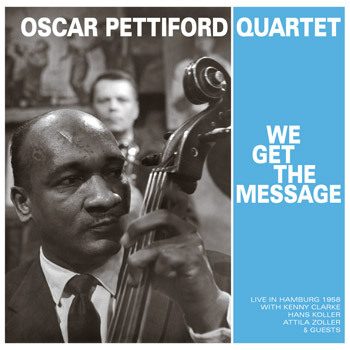 In tribute to the work of the Quartet, German “Jazz Pope” Joachim Ernst Berendt stated in the sleeve notes of the Philips LP "In Memoriam Oscar Pettiford" from 1963: "The Hans Koller-Oscar Pettiford Quartet was the best combo that ever existed in the history of German Jazz". Attila Zoller described the genesis of the group in Jazz Podium magazine, February 1961: "In October I met Oscar Pettiford and Kenny Clarke, who were on tour. Oscar wanted to stay in Europe and Kenny lived in Paris for a long time, which enabled us to establish a quartet together with Hans Koller”. 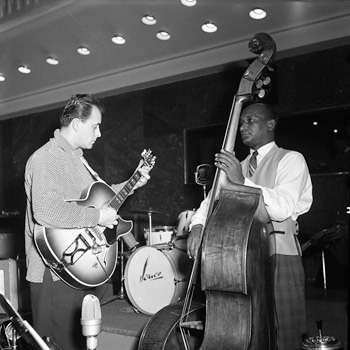 With the exceptional American drummer and the Hungarian-born guitarist, two musicians gathered around Pettiford that evening, who complemented the band as a weighty rhythm section. Kenny Clarke is still regarded as the inventor of modern jazz drumming and has influenced several generations of European drummers. In addition there were the contrasting reeds sounds of Hans Koller and guests, that mingled beautifully with the rhythm group. Although Oscar Pettiford was put in the foreground of the concert as one of the most important jazz bassists, it is mainly Clarke, Koller and Zoller, who astonish the listener with their brilliant and sophisticated playing on these unreleased live recordings. Only a few weeks after this concert, at christmas season 1958, Pettiford and Koller got involved in a car accident. Both musicians were injured and moved to a hospital in Vienna. Pettiford, proud father of his two months old son “Cello”, suffered a severe laceration to his head and bit his tongue through. He had to stay longer in hospital than Koller, who was already able to play again at the Berlin Jazz Salon in January. Meanwhile, Pettiford`s American friends had established a fund in New York to pay for the hospital costs of the bassist. A benefit concert for Oscar Pettiford at Birdland, organized by manager Larry Douglas and prominently staffed with Dizzy Gillespie and Duke Ellington, raised $1.200. 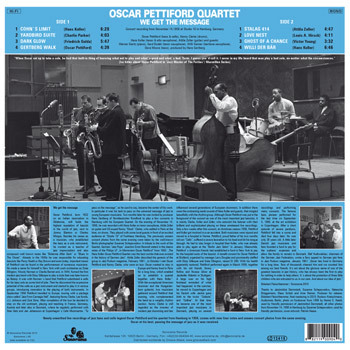 With his health apparently restored, Pettiford performed again in March 1959, together with his old friends Sonny Rollins and Horace Silver at Jazzkeller Atlantic in Stuttgart. A large scar on his high forehead reminded of what had happened. In the summer, he moved to Copenhagen and his Danish wife Jackie gave birth to the twins “Celesta” and “Cellina”. At that time he became one of the most important jazz musicians in Denmark, playing on several recordings and performing many concerts. The famous bass pioneer performed for the last time on September 4, 1960, at the art exhibition in Copenhagen. After a short episode of severe paralysis, Pettiford fell into a coma and died four days later. He was only 38 years old. used by friendly permission, cover artwork: Patrick Haase.